The third-seeded Oswego State men’s basketball team knocked off No. 1 Plattsburgh 70-58 to earn its second SUNYAC Championship in just four years on Saturday at Memorial Hall. With the victory, Oswego improves to 19-9 on the year and will make an appearance in the NCAA Championship after grabbing the conference’s automatic bid. The Lakers will find out who, when and where it will play in the tournament during the NCAA’s selection show at 12:30 p.m. on Monday. The second-seeded Oswego State men’s ice hockey team blanked No. 5 Buffalo State 2-0 in the SUNYAC Championship semifinal on Saturday night at the Marano Campus Center Arena. Oswego’s win pushes the squad into its fourth-straight SUNYAC Championship title game appearance with an 18-3-4 overall record. The championship game will be played at No. 1 Plattsburgh at 7 p.m. on Saturday in Strafford Arena. The Oswego State women’s hockey team defeated Cortland 2-1 in the ECAC West quarterfinal Saturday afternoon at the Marano Campus Center Arena. With the win, the Lakers have improved to 19-6-1 on the season and will advance to the ECAC West semifinals for the second-straight year. The Lucky Dog Dinner, to benefit the Oswego Animal Shelter Surgical Suite will be held on March 14. The hours will be from 1 – 5 p.m. at the Oswego Moose Lodge. A turkey dinner will be available for $10 each. Jared Bellinger and Kristin Rice became engaged on February 15, 2015, at Walt Disney World in Orlando Florida. The New York State Sheriffs’ Association held its election of executive committee members at its 81st Annual Winter Training Conference this week at the Desmond Hotel in Albany. Members elected Oswego County Sheriff Reuel Todd to the executive committee. Students at Kingsford Park Elementary School in Oswego recently held their Battle of the Books competition. The winners will now continue on to the district-wide event on March 4 at 6 p.m. at Oswego High School’s Ralph M. Faust Theater. Hundreds of community members filled the Lake Ontario Event and Conference Center to enjoy some hot wings and cold brews at the Child Advocacy Center of Oswego County’s fourth annual Chicken Wing Fest. The event raised more than $22,000 to help support the agency’s efforts to combat and prevent child abuse in Oswego County. Paul Charles Litchison, 88, of Phoenix, died Saturday February 28, 2015, in St. Joseph’s Hospital, Syracuse, after a long illness. 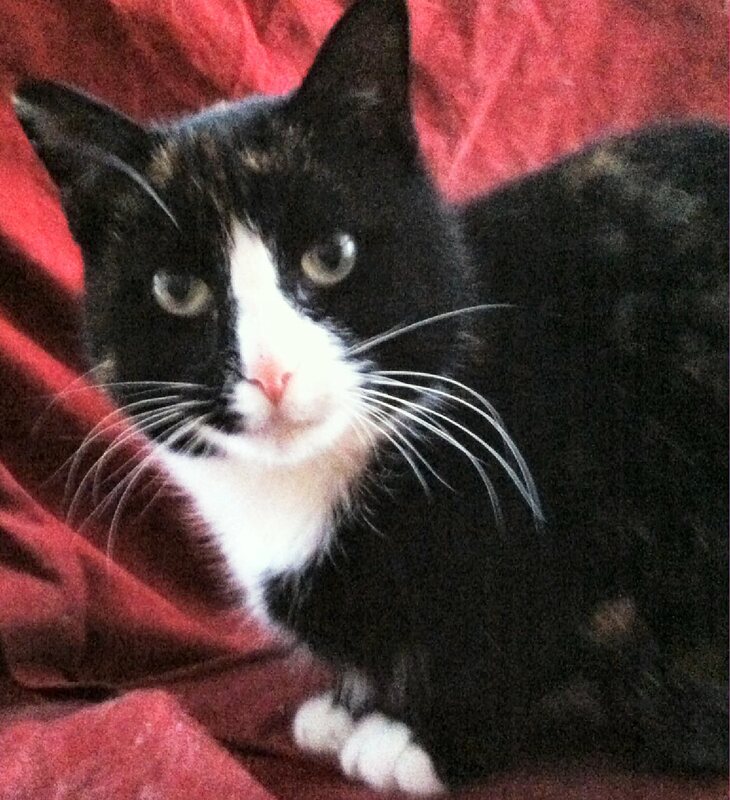 Mitzi is a dark calico cat, about one year old. The picture doesn’t do her justice. She has beautiful markings and great soulful eyes. Her looks are matched by her personality. She is a very friendly cat, always seeking and enjoying attention.